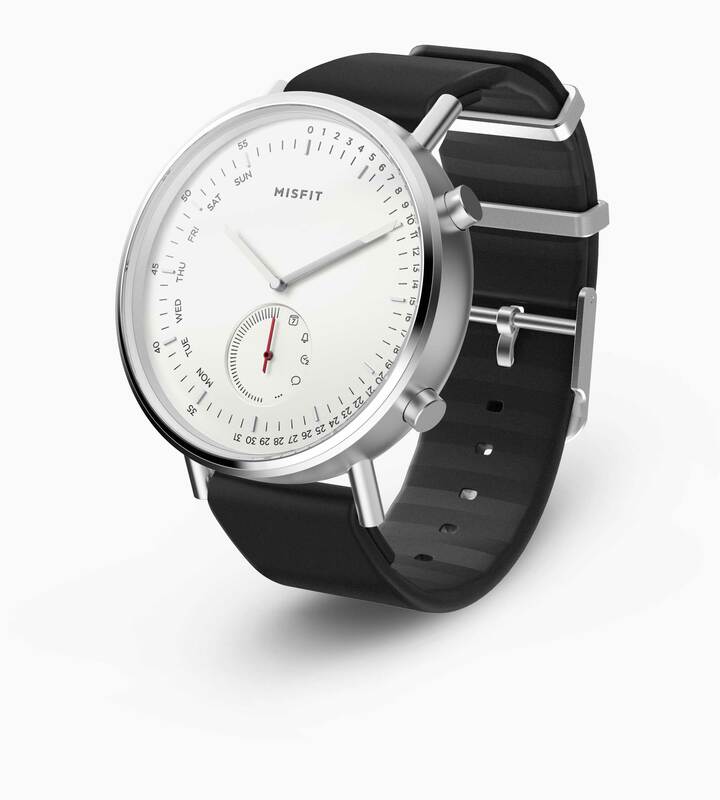 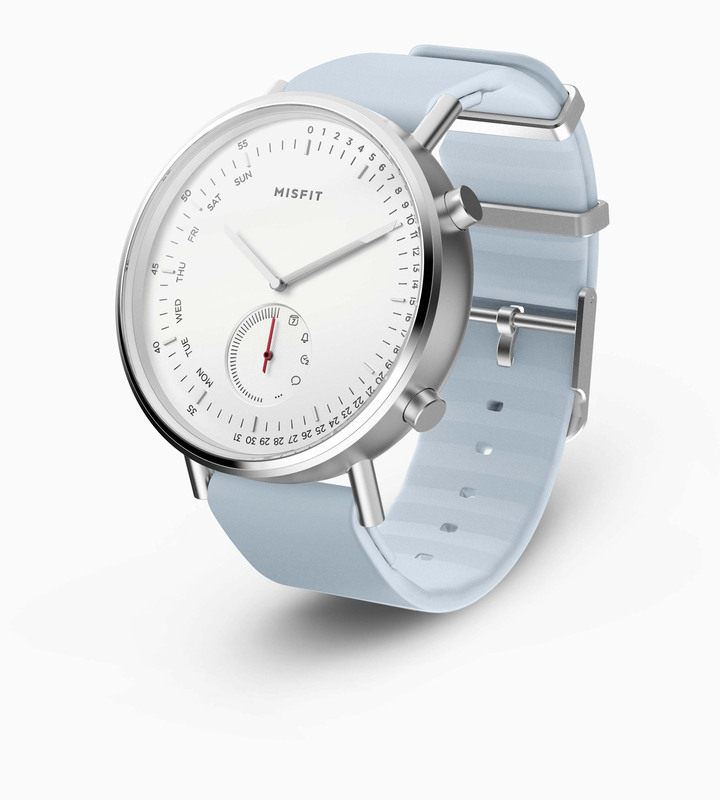 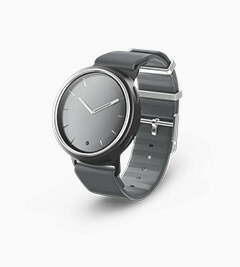 Screen Size 1.2" / 1.4" 1.2"
Misfit smartwatches can help you live smarter. 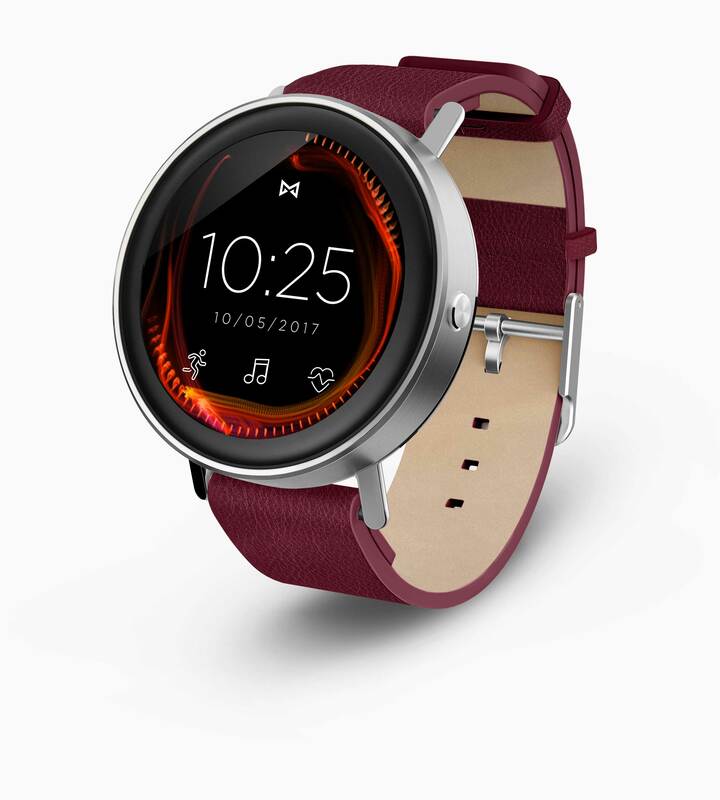 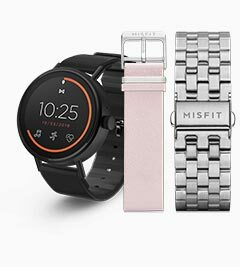 Get connected and stay up-to-speed with Misfit smartwatches, a family of complex timepieces that have been designed to help you live, work and play a little smarter. 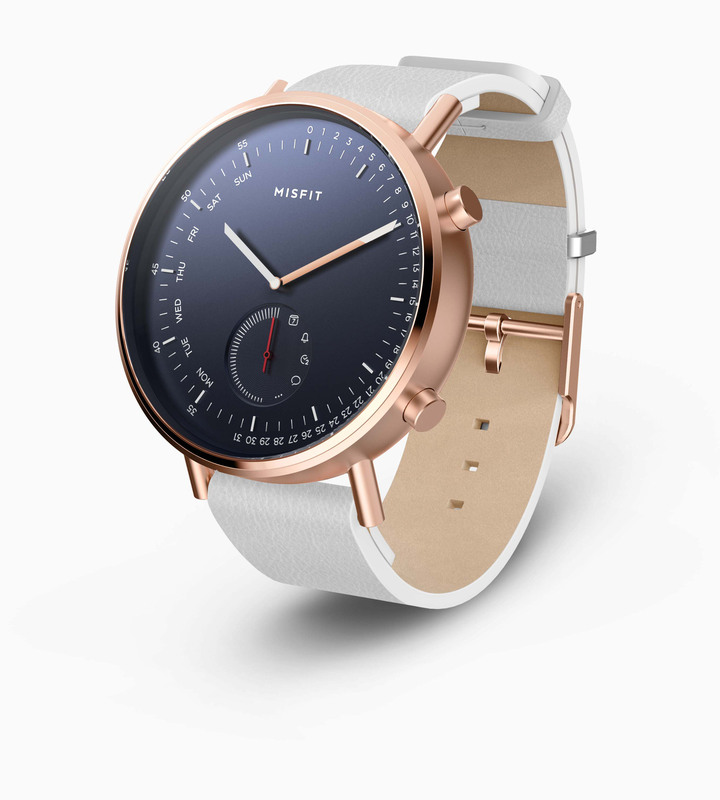 If you're looking for a smartwatch that can do far more than just tell you the time, consider a timepiece crafted from premium materials that showcase both its strength and its style. 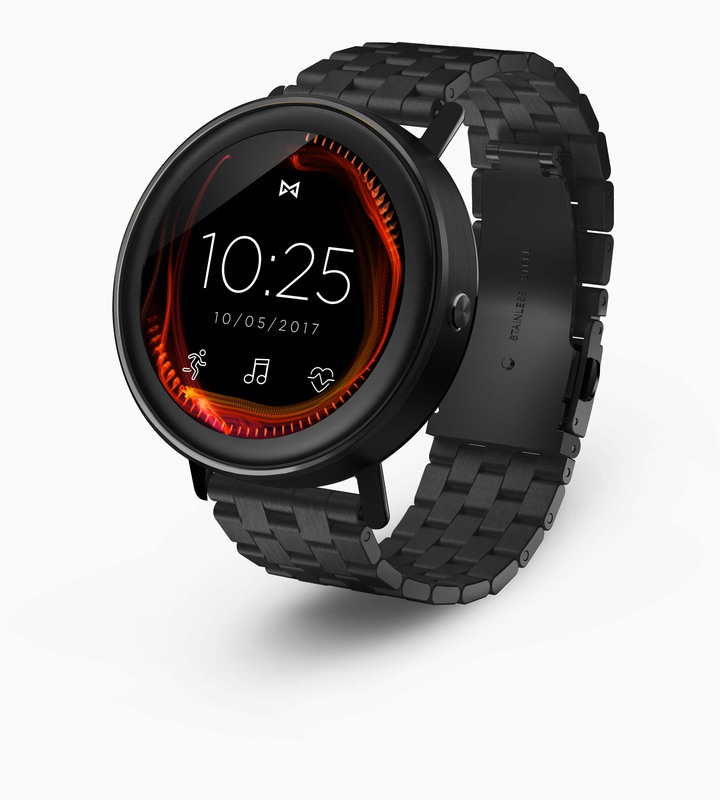 With a variety of customization options, you can personalize any Misfit smart watch to suit your unique personality, and then configure it to stay in-sync with your day-to-day activities. 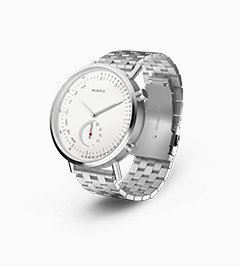 Let a smartwatch keep you connected and power your day. 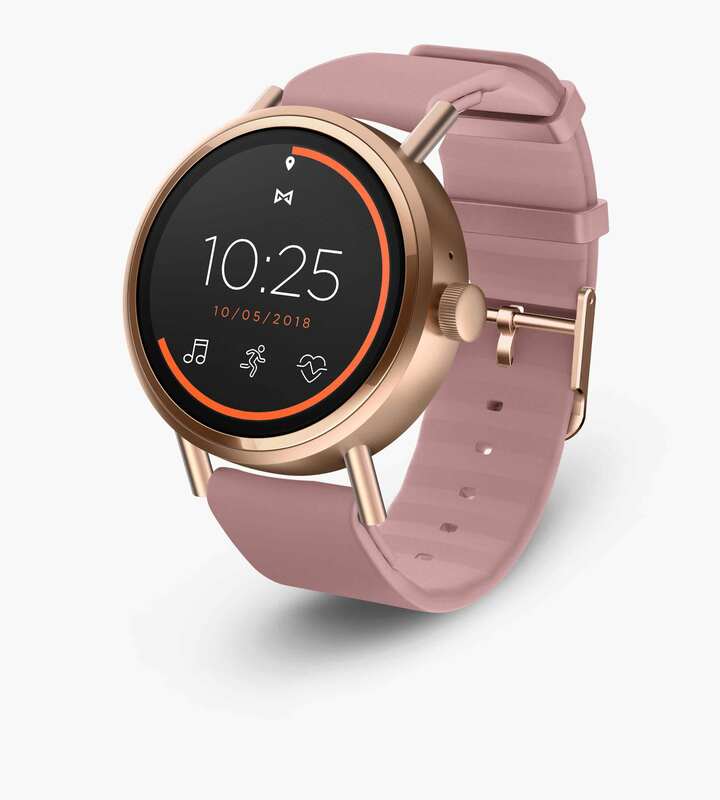 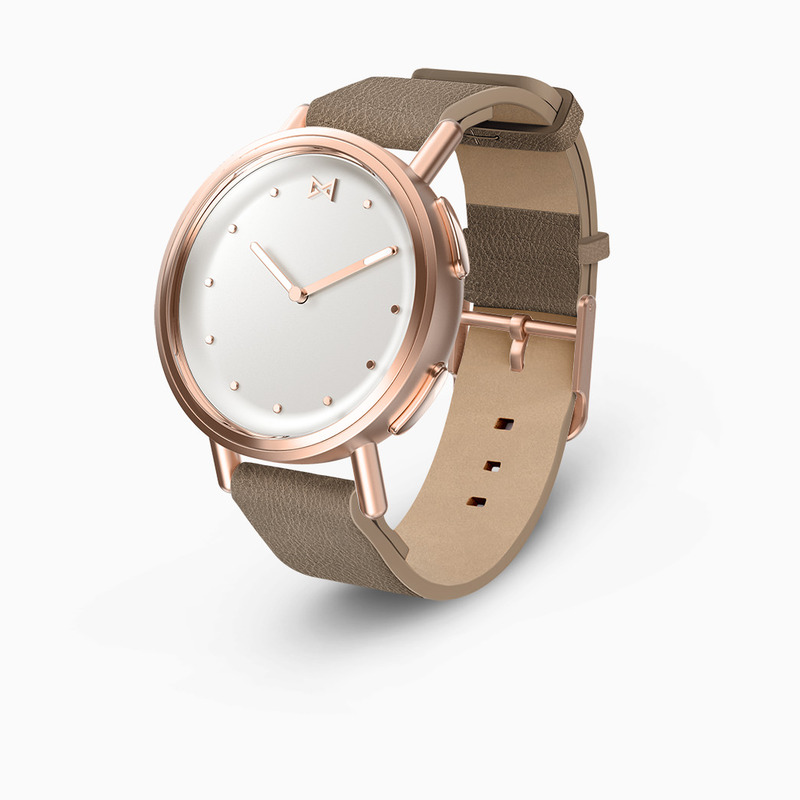 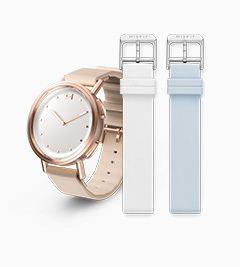 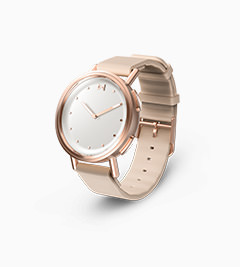 With non-charging, replaceable batteries that last up to six months, these multifunctional smart watches are always connected and at the ready to track steps, distance, calories, and both light and restful sleep. 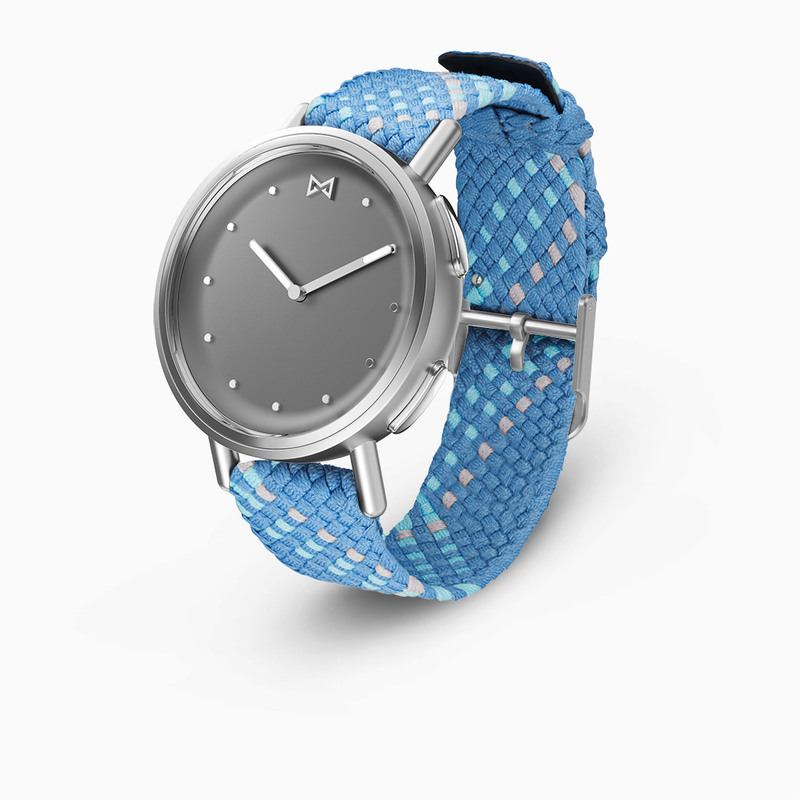 Kiss rushed and panicked mornings goodbye; Misfit smartwtaches will even gently vibrate to wake you up, right on time. 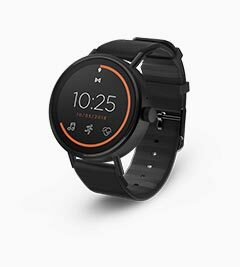 The smart watch's hands will adjust to display your activity progress, and keep you up-to-speed on how far you have left to go. 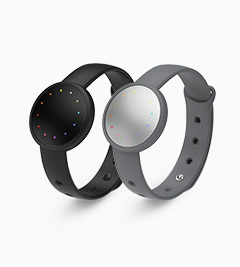 Receive color-coded vibration alerts from your smartwatch when you get a call, text or app notification. 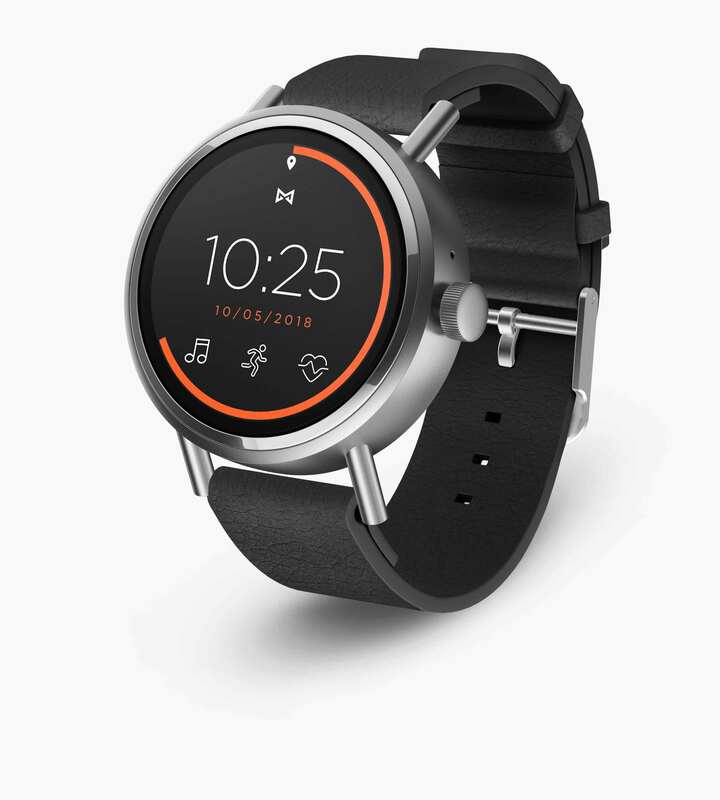 Put your smart watch into Smart Button mode, and the possibilities for wireless control are seemingly endless. 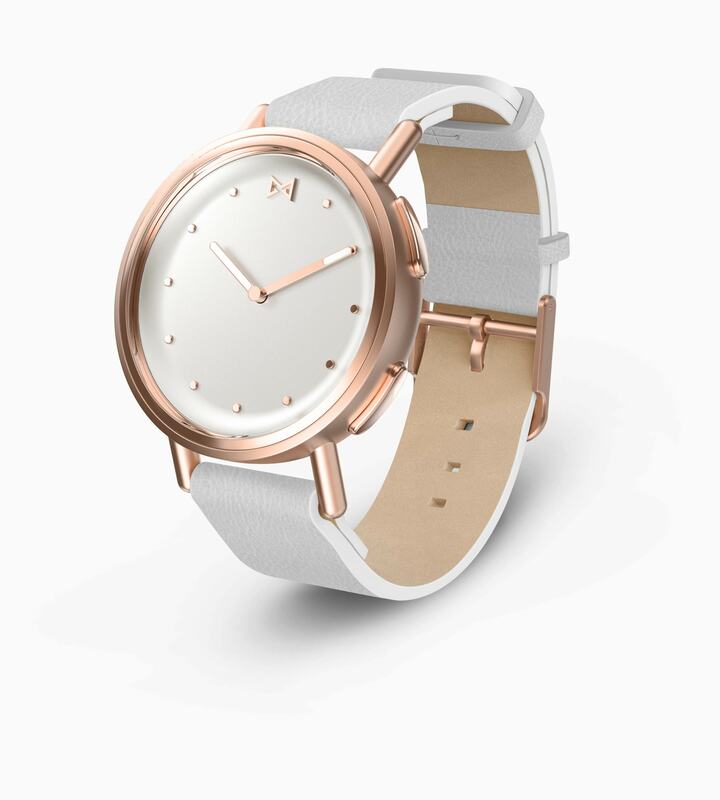 Call your phone if you've misplaced it, snap a selfie from a comfortable distance, wirelessly control music and lights, advance the slides in your presentation, set a movement reminder to keep yourself active, or engage and control your smarthome gadgets. 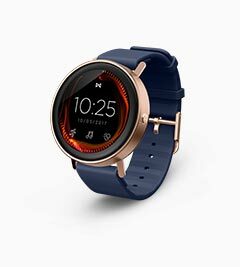 Once you've had the power and functionality of a smartwatch on your wrist, it'll be hard to imagine life before getting smart. 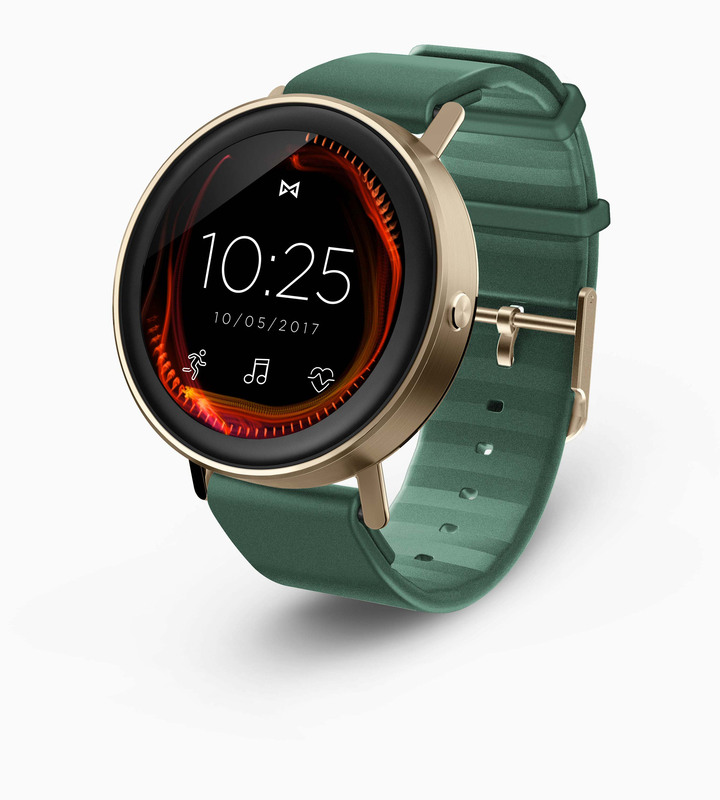 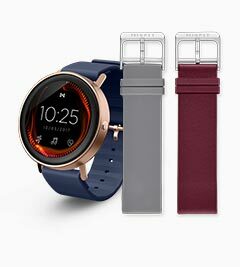 Choose colors and style to personalize your smart watch. 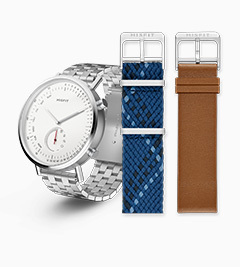 Choose from several smart watch strap options that include everything from stylish leather to sporty thermoplastic polyurethane or woven, braided nylon. 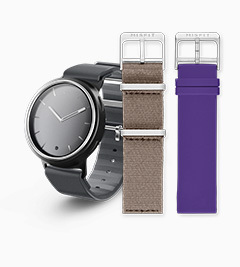 Smartwatch bands come in a variety of colors and textures, so you can wear whichever one suits your mood. Because a Misfit smart watch is always on, it's always there to track and deliver your personal data, plus keep you motivated to stay active and on time.